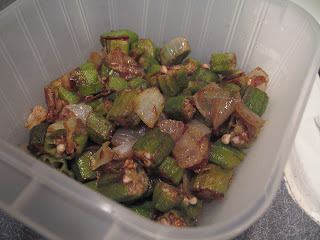 I cooked this Okra from Madhur Jaffrey's cookbook today. I don't think I've ever cooked okra before. It was a bit strange how sticky it was. It turned out so tasty though! 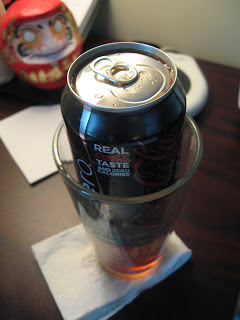 Heather for some reason has a cooler (without ice) full of sodas in her car. Now that it has gotten hot outside, when she went to get one and opened it, it practically exploded. 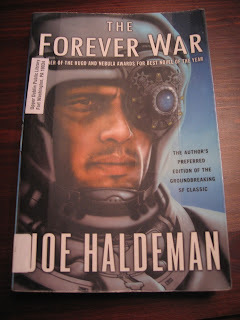 Chad and I read this for our Sci Fi Book Club this month. It was written in the 70's, so although a lot of it seemed cliche, I realized it was probably one of the first. July 28, 2009: Why O Why? 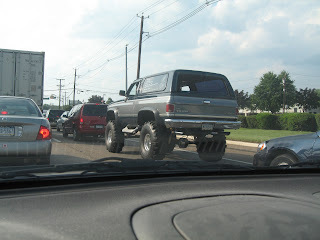 I was driving home today and when I stopped a red light, I looked over and saw this ridiculous truck. Look how high up it is! Now is that absolutely necessary? Tonight I made some more yakisoba, which includes heating oil and water together to cook the noodles. 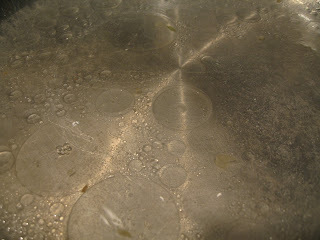 When I poured them in the pan, I thought it looked so cool! I've been waiting for this day for months! 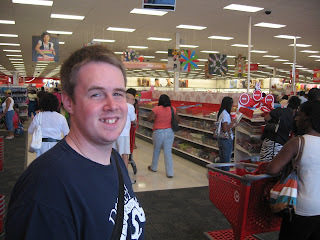 A new Target was just built near our house and today was the grand opening so we had to stop by. It was great! 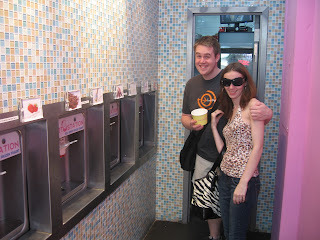 We stopped by at a self-serve frozen yogurt place today in the East Village (Manhattan). It was so awesome! I love the taste of frozen yogurt that actually tastes like yogurt. Tonight we met Mom-Mom, Aunt Beth, Lauren and Bethany at Friendly's so we could pick up Lauren. 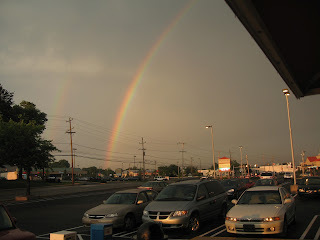 In rained a bit and then a lovely rainbow came out! 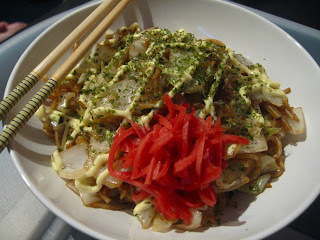 We had a lot of cabbage from the CSA, so what better to make than yakisoba?! This is one of my favorite Japanese foods and it's great to be able to make it at home. Today I stayed late at work to finish up a report and it was totally worth it because I got to see this. 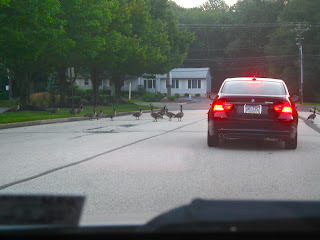 These geese just stood in the way for about 10 minutes while we waited. 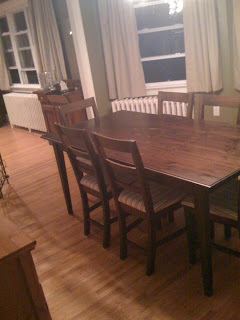 Chad's sister, Lauren, is coming to spend the weekend so we now have to clean the house a bit. Fun. Today we had to break camp so we could head home. It was kind of sad to take everything down after we had gotten so used to being up there. The weather was great! Today we stuck around at the camp site for most of the day. 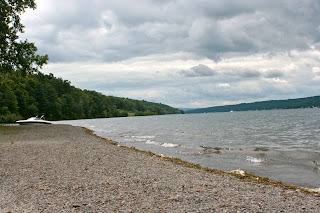 We went down to the beach that is on Keuka Lake and skipped stones. Just like old times. Today we went to Dr. Konstantine Frank's winery on Keuka Lake. 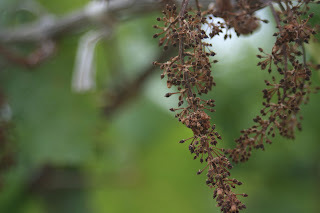 It's our favorite one and we had such a great time with their wonderful wine tasting. 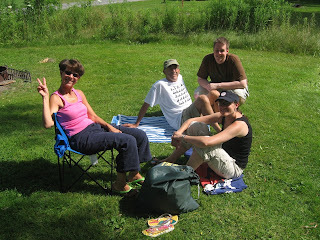 Today we drove up to Penn Yan to spend the weekend camping at Keuka Lake State Park. 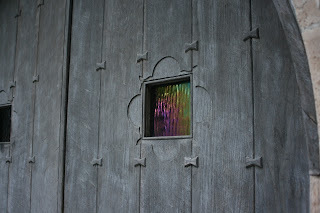 We stopped by and checked out Garrett Chapel, which was awesome! 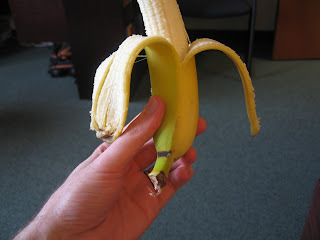 I recently read about a method for peeling bananas from the opposite end from the stem. I had a hard time opening from the stem end today so I tried it. It works!! 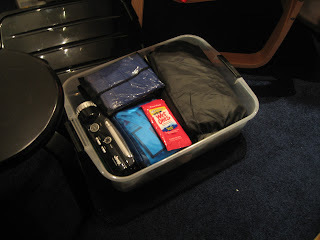 Our camping trip to Penn Yan is on Friday and so we've been packing all week. Chad does most of the packing because he's so good at it. This week has been crazy and I guess I forgot to take a photo today. Getting lax in my old age I guess. Haha. Tonight we had salad, mostly with CSA veggies. We put some tuna on it for protein. 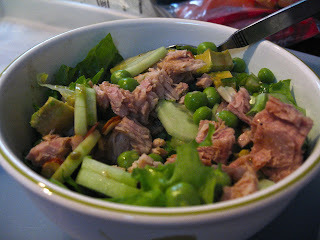 The peas from the CSA were fantastic. I love raw peas but not cooked. Weird, huh? 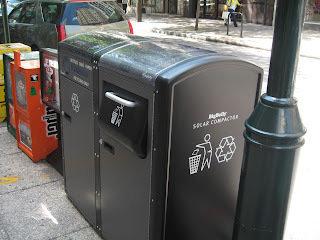 We were in the city today and these solar compactors have been popping up everywhere. They are a cool idea but not terribly well implemented. Today was Erin's birthday and we got together at my parents' house for dinner etc. 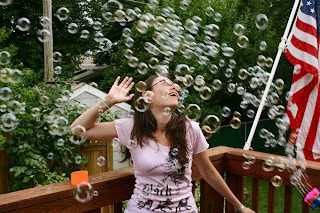 We were having fun with a bubble-blowing toy and decided to have a photo shoot. 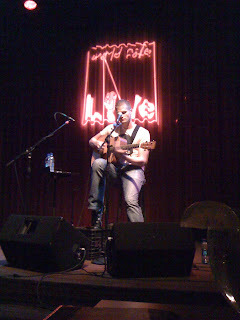 We went to see Jay Brannan tonight and he was awesome, as usual. There was a big group of high school kids for a while being loud, but thankfully they left before the show. We had our book club meeting tonight at Wegman's. 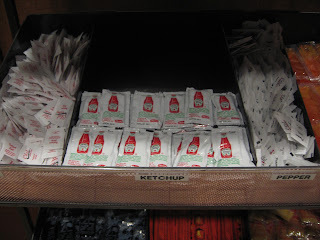 On our way out, we noticed that someone must be really OCD because all the condiments and utensils were lined up. 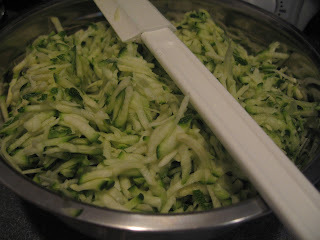 We got zucchini with the CSA recently and my mom used it to make zucchini bread and ever since, Chad has wanted more more more! So tonight he made some! Yum. 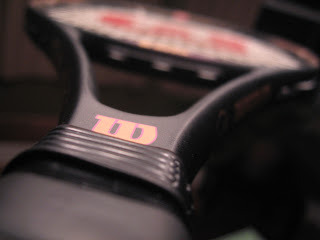 My dad and I played tennis tonight. I'm enjoying these games of ours but I need more practice! And I'm so out of shape it's sad. Haha. 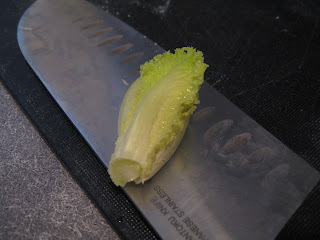 We were preparing dinner tonight and there was this tiny lettuce from the middle of the head of lettuce. It was so cute. 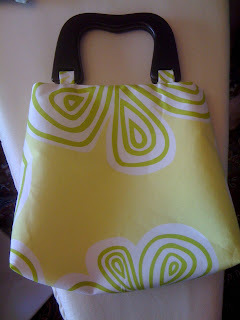 I wanted to sew something for Erin for her birthday and I found this pattern for a fat quarter purse online. I guess you don't really need a pattern, but I followed it anyway. 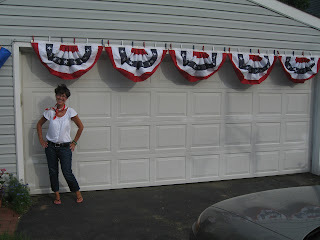 Check out my mom and her bunting! They got their decorations from Friday Harbor and put them up on the house. We had a great time celebrating at their house. 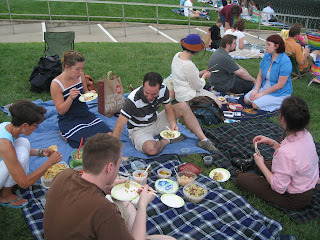 July 3, 2009: What is going on here? 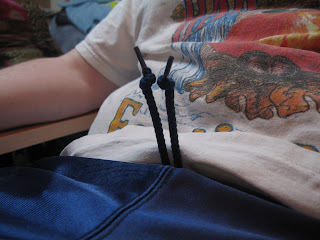 Chad sat down today and looked down to see the ties from his shorts sticking straight up in the air. It was so bizarre I just had to take a photo of it. 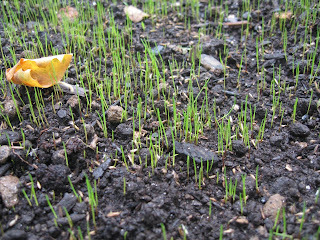 I planted grass on Sunday and when I got home tonight, I found that it had already sprouted! I was so thrilled. I hope that it thrives.